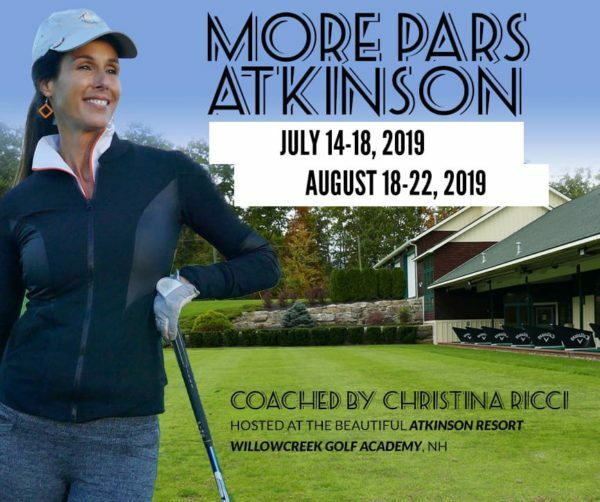 Get More Pars August 18-22, 2019! 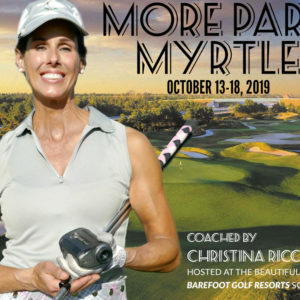 Get your game up to par in this 5 day/4 night package with option for local package with top-selling golf author, LPGA and TPI Golf 3 and Power Level 2 Coach, Christina Ricci. 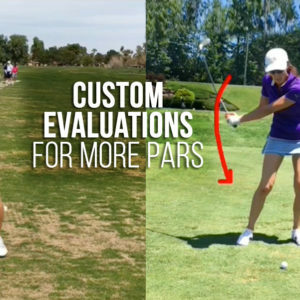 Her More Pars Camps will give you all the skills to get more distance, more GIR’s for lower scores and more pars. Open to men and women all levels. 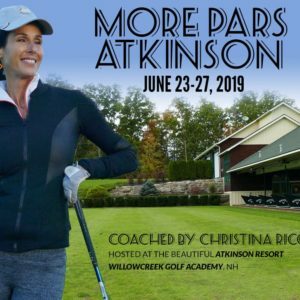 Atkinson is an hour north of Boston Logan Airport or 30 minutes from Manchester Airport. Guests can either rent a car or catch an uber. The address is 85 Country Club Drive Atkinson, NH 03811. 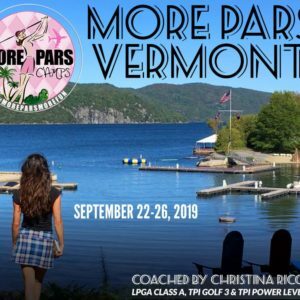 $250 non-refundable deposit required to hold your spot. Balance due 60 days out. Cancellation Policy within 60 days: 25% Fee. Within 30 – no refunds. We reserve the right to change or cancel camps in the event of limited sign-ups. We will notify you 45 days out and either switch your dates or refund your deposit.